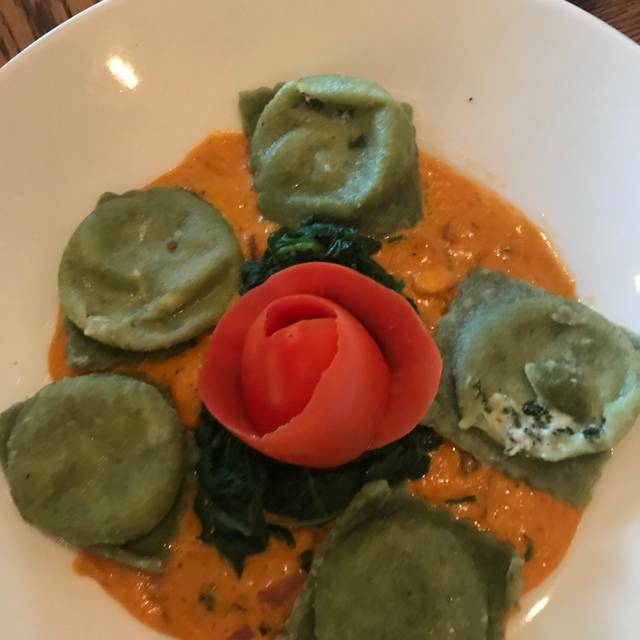 You must make reservations at least 5 minutes in advance of the time at Pietro's Italian - Radnor. Friday-Saturday 11:00 a.m.- 10:00 p.m.
Pietro's Italian | Birreria in Radnor, PA is the latest addition to the original Pietro's Family Restaurants in Philadelphia, PA. Pietro's newest location boasts an extensive beer menu 16 beers on draft and 16 bottled beers, delicious brick oven pizza, and much more. 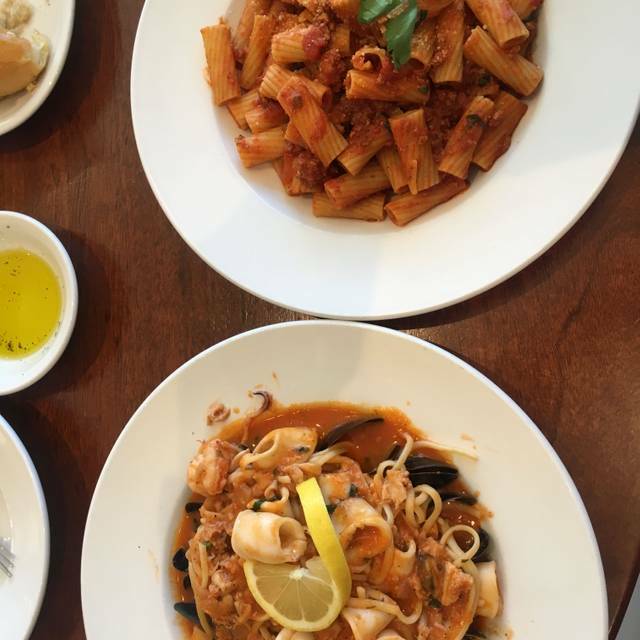 Pietro's Radnor is a great place to dine out with friends and family! start with the Margherita (crushed tomato sauce, handmade mozzarella, basil) & the rest is up to you! Great casual place to eat dinner with family. Good for large parties. Good food and friendly staff. I would definitely recommend this restaurant. Vegan options!!! Zucchini pasta, vegan pizza and a great selection of vegetables that can be adapted and salads! Food was JUST okay and service was not impressive. Most of our food was bland. Party of 11 si wwr had a decent variety of food. .the short rib pizza was really good, though. Love this place but don't improvise. I wanted vegetarian pasta in a standard garlic wine sauce. It was delicious but subject to every add on imaginable. The total cost was $28. I could have had a steak!!! Food was good and came out quick. Waitress was friendly and knew the menu. Would eat there again but nothing to write home about. I was very happy to see that they have added zucchini noodles as an option to pasta. Food was excellent. Salad was very fresh and dressing good. Pasta dish was very flavorful and the chicken pieces in it literally melted in your mouth. It was simply delicious. Only complaint was that it was too noisy. Reliable, family friendly restaurant. The last few times we have dined here the service was a little slow but the good pizzas keep us coming back. Visited Pietro’s for the first time on a Thursday evening. We were A party of seven that evening and we were quickly greeted at the door and subsequently seated at our table. Our waiter was very attentive to our needs and quickly took our drink order and any small appetizers we wanted. We ordered our main course and the food came out hot and well seasoned. I didn’t find anything wrong with the food I just got it was average. Certainly not bad but not “stand out” type food. When we arrived, our table was ready but the other couple we were dining with had not yet arrived. We went to the bar to wait and have cocktails . Our friends arrived and we were shown to our table and our friends ordered drinks which arrived in a reasonable amount of time. From here it goes down hill rapidly. We were too busy chatting and drinking that we finished the first round of drinks before ordering dinner. So we ordered dinner and another round of drinks. The meal came in a reasonable amount of time, but no drinks (2 beers and a wine. Nothing complicated). We waited and waited. We finally had to ask the takeout cashier but she couldn't help us because she was only 16. The waiter is passing by with drinks for another table obviously forgot our drinks and blamed it on the bartender being new. When drinks finally come I asked him for grated cheese. Never came. I got tired of waiting and went to another table and asked for theirs. Our server never came by and asked if everything was ok until we were finished our meal. After he asked he just left and had us sitting there with empty plates in front of us. After about 15 minutes the manager came and cleared the table. So....to sum this up the food if very good but our server was very sloooow. Great service! Fun night with family and friends. Service was pretty slow. It took about 15 minutes to get drinks. No bread basket (other tables hot them). Food was good though - great salad and pizza. Consistently good. Great spot in Wayne for families. Good food, nice server, bursts of noise but not so busy around this lunch hour. A nice place to have lunch, went for a special occasion, didn’t get to discuss much other than seating. Still recommend for a good pizza and nice family experience. Food and service was very good. My only complaint was the noise level making it difficult to hear my dining companions. The service and food were great. We had a nice time. We have been to this restaurant a couple of things and have found it to be a good local spot. This night we were really disappointed. I only write negative reviews as constructive criticism. The restaurant was not crowded at all this evening. We were seated in a booth as per our request and met by a very nice server who took our drink orders. After an unusually long wait for them, they were brought to our table along with some bread with a dish of something we could not identify, and our order placed. Our waiter disappeared, and when we saw him again we asked for some oil and red peppers for our bread and asked him what was in the dish. He told us it was a ground chick peas and oil. Glad I did not try it as I am allergic to chick peas! It was a rather expensive meal for the quality of food we received. I suppose it is more a pizza place. Absolutely loved the kale salad with pistachios and grilled chicken! Loved it. I am from NY and the brick oven Pizza was great! We had dinner with my sons who attend Eastern University and they are in love with the food. Thank you. Excellent service, excellent food. Would recommend to anyone . We were ordering from the happy hour menu and had to sit at the high tops even though most of the restaurant was empty. This was a little before 7 on a Tuesday. Pietros does a great job with Brooklyn style pizza, which is the main reason we go there. It’s a nice ambience but not too nice so families feel comfortable here too. The only miss is that there are televisions. It takes away from the experience and instead of talking about the meal and enjoying company there is a tv?! Why do restaurants feel the need to install tv’s? Great food and drinks and the service is friendly and fast. Food was excellent. We shared the beet salad and the crispy cauliflower. Both were delicious! Fabulous food every time we dine here! Service is always fantastic! 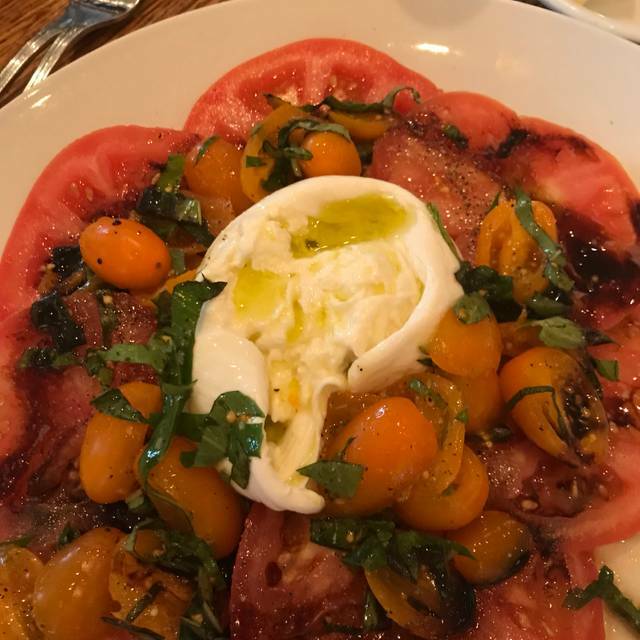 We love Pietro’s but since their manager moved to NJ the food consistency is off- always get the bolognase but it was bitter & it’s color was different- wait staff not attentive & when I had to ask for Parmesan cheese it came out in a shaker & was obviously not the fresh grated they normally offer!! Seated right away for a 5:45 reservation on a Friday. Server was EXCELLENT! Huge portions. Leftovers were very nicely boxed for taking home. Definitely a go-to place for any occasion. We love Pietro's, especially for their amazing Happy Hour (5 - 7pm) at the bar area. Their food is delicious and they have a nice assortment of salads, entrees and desserts. It's our 'go to' and always come home happy and full! Great spot! Excellent food and service. Food could have been better. Disappointing.